If you’ve been to a We Olive & Wine Bar, you know we are huge fans of the mimosa. What you may not know, is that we also love beer. 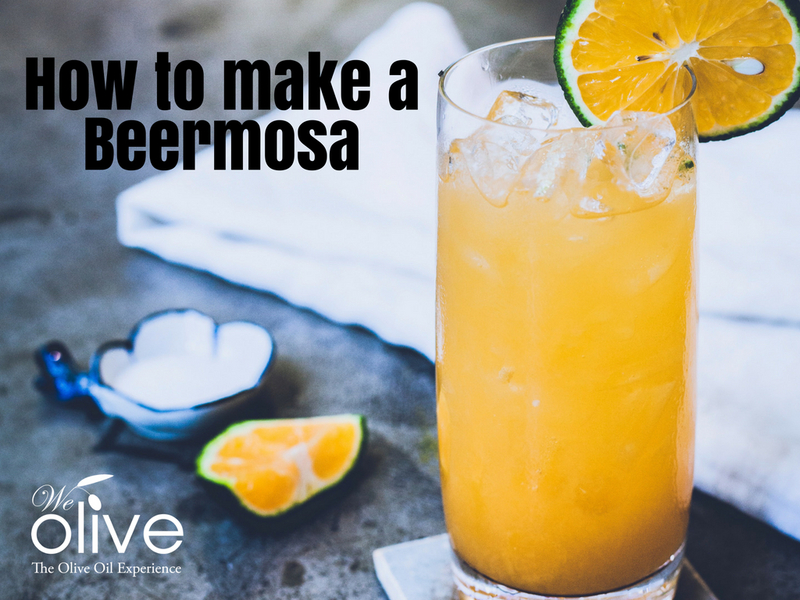 And being that we’re all about equal opportunity, we figured it was high time that we gave the Beermosa its turn in the limelight. Without further ado, here’s our recipe for beer you can drink with breakfast. Serves 1 if you’re thirsty, 2 if you feel like sharing! Add the orange juice and white balsamic vinegar to a pint glass and stir until combined. Pour in the beer, stir gently and enjoy! Garnish with an orange wedge if you feel fancy. *We like the bitterness of IPA with citrus juice, but if you’re not a fan, it’s perfectly acceptable to substitute a wheat beer or other favorite. We would not recommend dark beers like stouts or porters in this recipe.